Cubs manager Joe Maddon relying on his Italian roots in introducing his newest venture. CHICAGO (WLS) — Cubs manager Joe Maddon relying on his Italian roots in introducing his newest venture. It’s called Maddon Family Pasta Sauce. The recipe was taken from his grandparents who he said cooked for his big family growing up in one apartment. “She would cook for all of us on a Sunday afternoon. You would run on over there after church and hang out and Rosie would prepare it. This sauce, as well as her infamous spaghetti that was peppered literally with pepper,” Maddon said. 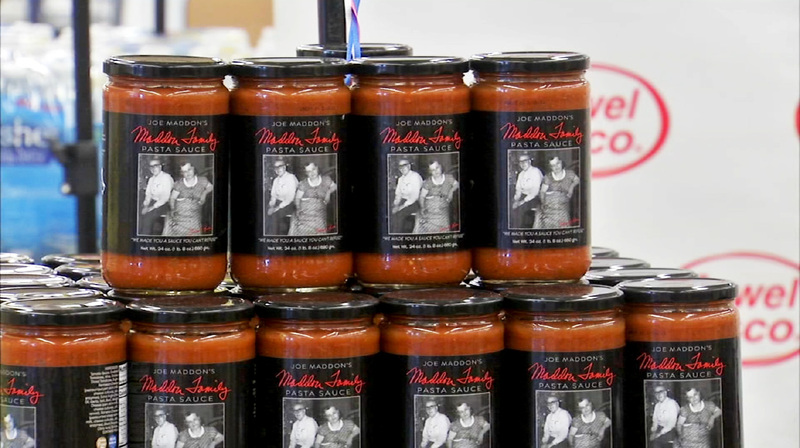 The sauce will be sold at most Jewel-Osco locations for $7.99. Proceeds are going to Joe Maddon’s charity.